Major Components teaches you about the location and function of the various components that comprise the stator winding cooling system of a generator. Operating Systems provides in-depth coverage of the operation process of a stator winding cooling system. Testing of Components identifies and explains the tests and inspections for stator winding cooling system components. 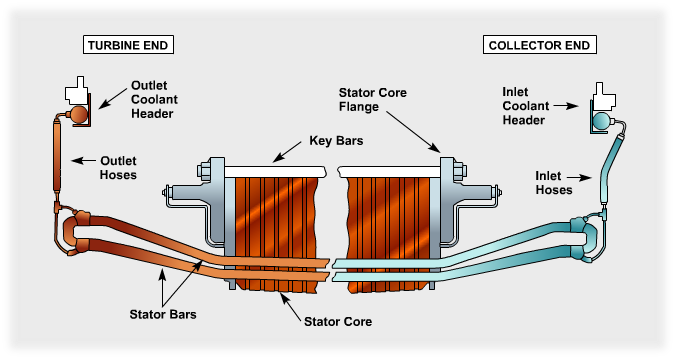 Removal of Stator Cooling Water and Unit Operation Without Cooling Water explains the procedure to remove cooling water from the generator and describes how a generator functions without the flow of cooling water.